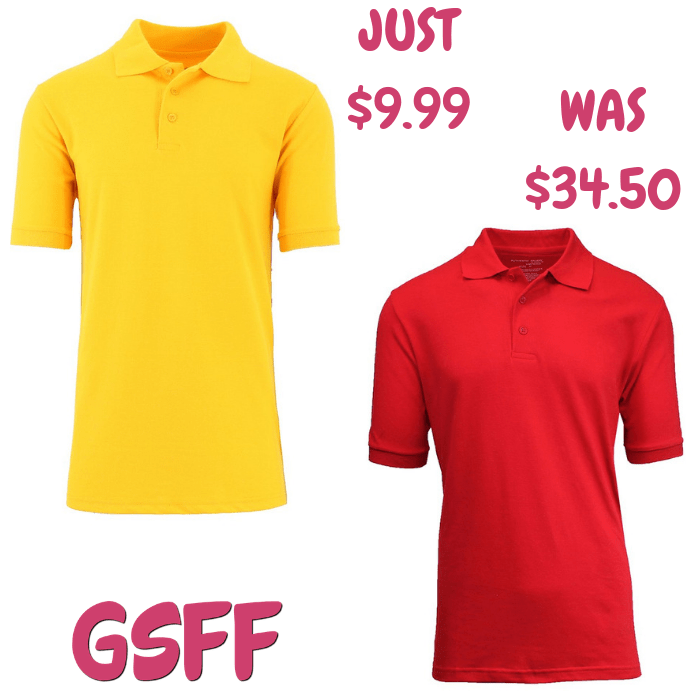 Men's Polo Shirt Just $9.99! Down From $35! Shipped! You are here: Home / Great Deals / Men’s Polo Shirt Just $9.99! Down From $35! Shipped! Men’s Polo Shirt Just $9.99! Down From $35! Shipped! Until January 8 only! Hurry over to Proozy where you can score this Men’s Polo Shirt for just $9.99 down from $34.50 when you use promo code PZY999 at checkout PLUS FREE shipping! This pique polo shirt is a comfortable school classic made with a high quality cotton/polyester fabric for optimal softness, durability and easy cleaning. It features a polo collar with 3 buttons, ribbed cuffs, and short sleeves. This polo shirt stands up to multiple washes and will not fade. All Harvic polos are tagless for comfortability, and no logo is stiched on the chest to ensure that it is school approved. Being that it has no logo on the front makes it great to even wear outside of school.